Recycled Tire Tiles have a surface of carpet-like specially processed rubber strips that are created from 90% post consumer recycled heavy-duty bus and truck tires. 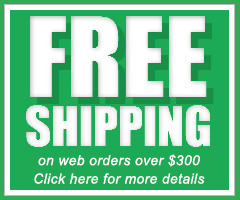 Strips are heat bonded to a woven flexible backing, creating a "dry-back" adhesive back. The backing then will react with our TT-390 adhesive (nonflammable) for a stronger bond to the floor. Green product: made with 90% post consumer recycled bus and truck tires. Tire Tiles can be installed outdoors or indoors. Ideal for heavy wear areas in retail and grocery shopping centers, airports, amusement parks, movie theaters, ramps, entryways, can be used as a golf spike-resistant tile, etc. Available in 12" x 12" standard tile size or in longitudinal rolls 12" x 25'. Furnish and install in either a perpendicular or diagonally alternating parquet pattern as shown on drawings. 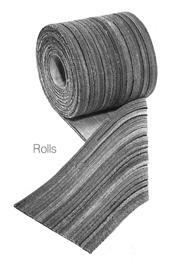 Materials: Recycled heavy duty truck or bus tire strips, bonded to a special flexible "dry-back" adhesive back. Adhesive: Tiles must be installed using No. TT-390 Non-Flammable Environmentally Safe Adhesive. One gallon covers approx. 100 sq ft.
TT12 Available Colors: Natural Earth tone Gray. TT12-CT Available Colors: Lightly colored tone hues of Blue tone, Green tone and Brown tone. Meets OSHA specifications and flammability requirements of DOC-FF-1-70. Due to color fading, these are not recommended for outdoor use in direct sunlight.